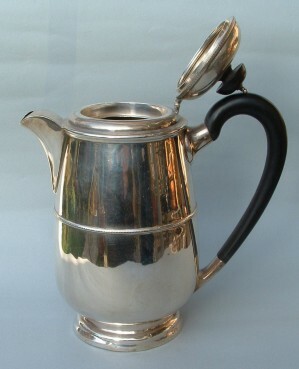 this silver coffee pot (or hot-water jug) has wood handle and finial and was made in Sheffield - England in 1924 by silversmith Walker & Hall. 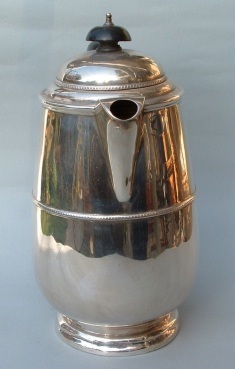 The firm was established in Sheffield (UK) in 1843 by George Walker. Henry Hall joined the partnership in 1848 and the company was known as Walker & Hall in 1853. 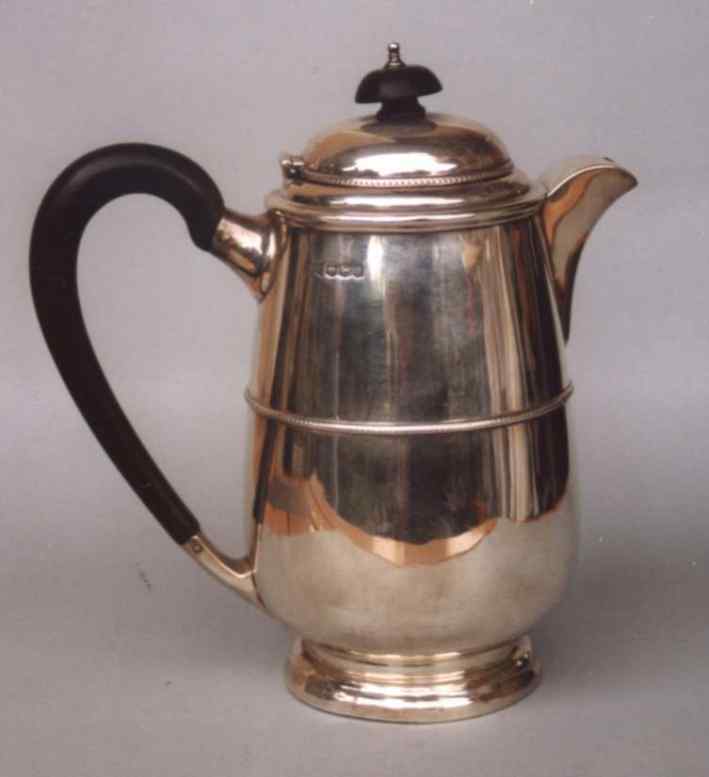 Its hallmark is a triangular flag with W & H.
The coffee pot is 8 in. high (cm. 20) and was bought from an Italian dealer.